Does the tile in your Pearland home no longer look like new? Does your shower make you cringe? Has the grout that was once white turned an ugly shade of brown? Ceramic tile is a wise choice and a sound investment for your home. It’s durable, easy to maintain, and offers an almost endless variety of design choices. But, depending on the application, your tile may require some help beyond day-to-day TLC. 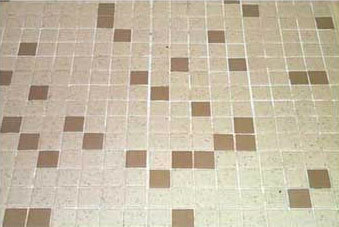 Floor and shower tiles, in particular, require more work to keep them looking new. The biggest challenge is typically not keeping the tiles themselves clean, but maintaining clean grout lines. Grout is a porous material which, over time, allows dirt to become trapped and almost impossible to clean with regular mopping and scrubbing. In bathrooms and showers, the biggest culprit is mold, caused by the accumulation of excess moisture. 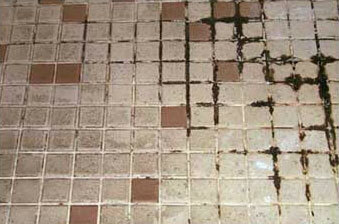 Again, once mold stains are trapped, regular cleaning will never fully restore the grout lines. Pearland homeowners know full well the challenges of maintaining tile in a humid, coastal climate. If your tile and especially the grout is stained and unsightly, it’s not necessary to invest a great deal of time and money by replacing the grout. Made New Again is the tile and grout expert, serving Pearland homeowners. Made New Again has the experience, the knowledge, and state-of-the-art tools for cleaning and restoring tile and grout. We use a safe, non-toxic, eco-friendly cleaning solution that releases dirt and stains from tile and grout. We then follow with our patented floor tool that applies the optimal amount of heat and pressure to extract all the dirt, leaving the tile clean, dry, and restored. Made New Again offers fast, effective, and affordable solutions that work on any hard surface: natural stone; travertine; brick; concrete; and stucco. We can do it all – vertical or horizontal. Give us a call today at 832-477-6233, or fill out our contact form, for more information or a no-obligation, free demonstration of our amazing tile restoration. Made New Again proudly serves Pearland, Friendswood, and surrounding Houston Bay Area communities.